Last Saturday Melbourne celebrated White Night. If you already dont know, white night is a cultural event which runs from 7pm to 7am(yeah that's right whole night) showing exceptional visual art, exhibitions, spectacular illuminations, music, theatre, special dining experiences, film, design and performances on display in venues and major cultural institutions right across the city centre. Living in city has its own advantages, one of them is you can be out as long as you want without worrying of traffic or crowd in public transport. We were out till 5 in the morning and only came back because i was feeling sleepy and it was still very crowded that time. 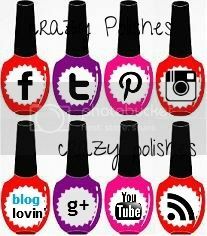 You can buy BP-L003 from Born Pretty Store along with other cool nail art stuff.